Valentine’s Day is on its way! 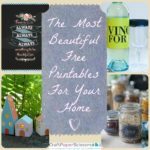 Here are some more cool craft ideas I found from around the web. 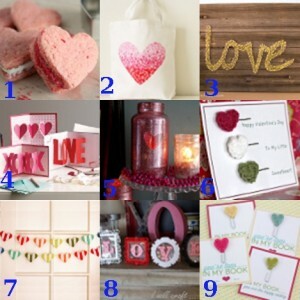 Use these craft ideas for a Valentine’s Day party, or just to decorate your home for the holiday. Some of the craft ideas can even be left up all year round if you’re a fan of red and pink! I included some handmade cards and other gifts in the round-up too, in case you’re exchanging Valentines this year with that special someone. And for those who love to dress the part, Valentine’s Day accessories and other wearables will do the trick! By the way, if you haven’t signed up for our Valentine’s Day card swap yet, there’s still time! The sign up deadline in February 1st, so go sign up and then start making your handmade card. I haven’t decided what I’m making yet, but there are plenty of ideas floating around on the internet! Painted Heart Bag from V & Co. The best valentines crafts for kids start with an inexpensive material which can easily be turned into a variety of fun shapes. In this case, I’d like to share some valentines crafts for kids using tissue paper. 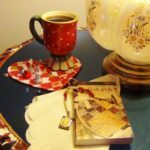 If you have some red tissue paper leftover from the holidays, this would be the perfect time to use it! Grab some tissue paper in red, pink and/or white and get ready for some great valentines crafts for kids. Tissue paper valentines are fun to create, dimensional and can have many variations based on kids’ preferences, making them creative valentines crafts for kids. Trace a large heart onto your paper and cut out using the scissors. If using adhesive craft paper, peel from backing and place adhesive side up. If not, pour a small amount of glue onto a plastic lid. Cut your tissue paper into small 1 inch squares. Wrap tissue paper square around the eraser of the pencil, allowing the paper to crinkle. If using adhesive paper, you can then simply press the tip of the eraser onto the paper and lift the pencil off, leaving the tissue paper behind. If using glue, dip the tissue paper into the glue and press onto the paper gently. Repeat placing tissue paper crinkles right next to one another until the heart is covered. Kids can outline the heart in one color and then use another color for inner rows, or they can alternate colors of tissue paper as they work. Fun! Cut out a large heart from a piece of black construction paper. For an easy shortcut that kids will love, fold a piece of construction paper in half and draw a half-heart shape. Cut out the half-heart shape and unfold. You will have a perfectly even heart! Cut out shapes from the inside of the heart or use a heart craft punch. Kids can also randomly cut out shapes by folding the heart and cutting from the edges. The practice can be as precise or as random as you like! Cut the tissue paper into small squares. Brush glue over the back of the heart, avoiding the cut-out areas. Randomly glue the various colors of tissue paper over the back of the heart covering the cut-out areas. Glue a loop of red ribbon to the back of the heart. Let glue dry. Hang your stained glass hearts in the window for the light to shine through! Tip: For a reversible stained-glass heart, cut out two identical black hearts. Line up the two hearts and cut out the same shapes in the same positions from both. A craft punch would make this quick and easy. Glue tissue paper to the back of one heart as explained above. Add a few dots of glue on top and place other black heart over the top. Your heart will look great from the inside and the outside! Lace Valentines– I gather up bits of lace, scrap floral papers and paper doilies to create over-the-top romantic valentines. Sent to friends, these valentines are my favorite of the top 10 valentines gifts. The cheesier the final valentine, the better. The biggest one goes to my boyfriend of course. Felt Ornaments– Create heart ornaments with red and pink felt and a heart cookie-cutter or template cut from cardboard. Create two identical hearts for a stuffed heart ornament, filled with polyfill. 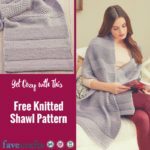 Use blanket stitch to sew up the sides. You can embellish with embroidery, beads, buttons and applique hearts. Add a pink or red ribbon to hang. These make great party favors for a Valentine bash. Felt Conversation Hearts– Turn small felt hearts into conversation hearts with embroidered messages. Felt Foot Warmers– Use the same concept as with felt ornaments, but make the hearts a little bigger. 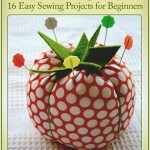 Use a sewing machine or hand sewing to create a tight stitch, leaving a small opening at top. Fill loosely with buckwheat or rice. Add a few drops of fragrance oil, such as lavender and hand-stitch closed. Your recipients can place these in the microwave for 1-2 minutes as foot or hand warmers. Paper Flowers- Since fresh cut flowers are expensive and carry with them some environmental harm, I love to make and give paper flowers on Valentine’s Day. A red or pink paper flower bouquet is also the best way to decorate for Valentine’s Day. Create simple flowers with red, pink and white tissue paper. Cut tissue paper into 2-inch wide strips. Roll strip lightly and pinch at one end. Secure with glue or wire at pinched end. Follow these instructions to create a rose bouquet with regular paper. 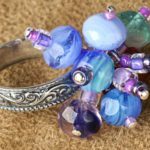 Beaded Gifts- Small beaded gifts such as cell phone charms, zipper pulls, bookmarks and key chains make great valentines day gifts. The near infinite array of beads available means that beaded items could take up all spots on this top 10 valentines gifts list. Pair a central heart bead with solid crystal beads for valentines day gifts. Candy Bouquets– If you gift recipient has a sweet tooth, a candy bouquet is the perfect choice. Gather assorted candy, wooden skewers, pebbles, a small clay pot, a foam block and tissue paper or tulle. First, decorate your clay pot with acrylic paints. Cut out a heart shape from a clean sponge and use to decorate. Stick candy on skewers and arrange on foam block placed inside clay pot. Fill pot with pebbles or other weights. Arrange tissue paper between candy skewers. 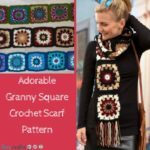 Crochet and Knit Hearts– Crochet hearts are quick and easy to make in any scrap yarns you have around the house. Last year, I gave my boyfriend a small green crochet heart which he uses as a coaster on his work desk. With my knitting needles, I could have made this Heart Tea Rug. Chocolate Covered Strawberries- Always melt chocolate slowly over a double-boiler. Breakfast in Bed– This is the classic valentine’s day gift. If you have a large heart cookie cutter, use to create heart-shaped pancakes. I think the purpose of a minor is to give you passable knowledge in a subject so that you can participate in snobbish discussions at dinner parties. Did I mention I minored in Art History at Northwestern? 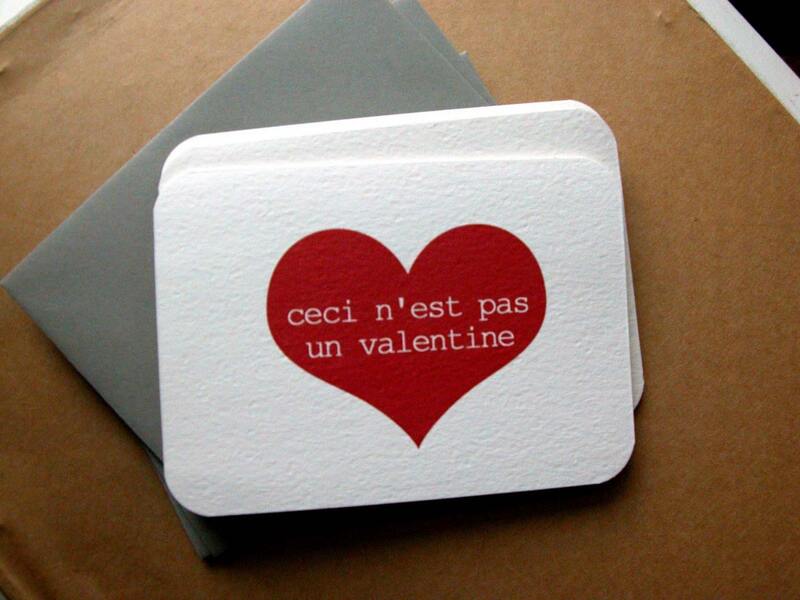 But really, I do love art history and have a special fondness for the humor of surrealists, which is why I love these Valentine tributes to Magritte by Michelle Brusegaard. They have the right balance of anti-Valentine’s day sentiment for those that loath the Hallmark holiday, but yet, they’re pretty. 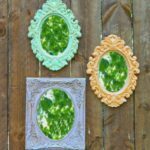 Melting crayon pieces might be an old trick but a twist makes this project perfect for the kids on Valentine’s Day. Instead of store-bought valentines, they can affix the crayon hearts to pieces of paper and give to friends and schoolmates. 1. Heat the oven to 250 degrees F.
2. Collect any broken crayon bits or break up a few packs. Kids love this! 3. Remove any paper wrappings from the crayons. To do this easily, soak the crayons in hot water and watch the wrappings float off. 4. Spray your heart-shaped muffin tin or mold with a bit of cooking spray. If you are using a regular baking dish, simply line the dish with parchment paper. Silicone molds are ready to go! 5. Fill the tins with the crayon pieces or sprinkle over the bottom of the baking dish. Use larger chunks for a more colorful result. 6. Bake in the oven for 10 minutes or until melted. 7. If using silicone, pop out of the mold. Otherwise, carefully remove and smooth any rough edges by drawing with the crayon heart on some scrap paper. 8. Use the tape to affix the crayon heart to a small square of cardstock. Cut the card-stock into a heart shape for an added touch. You can trace out the hearts and have the kids cut them out. 9. Let the kids decorate the card and add any messages they like!